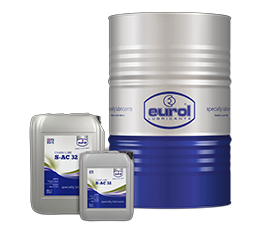 Eurol Specialty Lubricants will be introducing the new multi-functional Eurol CL-F Lube Spray lubricant at Maintenance NEXT in Ahoy Rotterdam on 9, 10, and 11 April 2019. It is possible to let us survey your entire production process or machine park with the purpose of locating and dealing with lubrication problems. With this scan we will provide you with tailor made advice how to save money on maintenance, lubricant use and energy consumption. We can train your staff how to apply Eurol specialty lubricants correctly. If necessary courses can be given at your premises. The purpose is to help your staff to optimize lubrication processes and to save money. Due to our complete product portfolio we are able to supply you with all the lubricants you need. You will have one supplier in future giving you the opportunity to optimize your purchasing process. You will have one Eurol contact person for all your purchases and questions. We do not operate with a call center, we have a personal approach. Sometimes it helps to do some laboratory oil analyzing. This in order to optimize oil change intervals or when a machine or production process does not function correctly without a clear cause. We have a fully equipped laboratory and are working together with third party laboratories all over the world. We are able to act fast and come up with clear and useful solutions. If necessary we can monitor a machine over period of time using lubricant analyses. We are cooperating with several partners specialized in lubrication maintenance. It is possible to completely hand over the lubrication maintenance of your machines or production process to them. But you can also choose the option for monitoring one specific machine. Do you want to install an automatic lubrication system or do you want advice concerning savings on maintenance, lubricant use or energy? Our partners are the perfect specialists. With our complete product portfolio we are able to solve every lubrication problem in your production process or machine park. However sometimes a problem is so hard to solve that the development of a brand new tailor made lubricant is necessary. In close cooperation with you we will develop and test the new lubricant. Field tests in your machines will be closely monitored by our R&D department and if necessary specialists at your production facilities. Our R&D department is constantly improving and developing new lubricants. This forms the base of our extensive product portfolio and it’s conformation to the latest OEM standards. For a wide range of lubricants we have an official OEM letter of approval available.